Television favourites Richard Madeley and Judy Finnigan will bring the curtain down on the 2015 Plymouth International Book Festival. The hosts of numerous TV shows over the past three decades, the couple have also found fame in recent years for their promotion of literature through the Richard and Judy Book Club. They have also written numerous books themselves, and Judy’s latest novel – I Do Not Sleep – will be the subject of their visit to Plymouth on Wednesday 21 October. Their event will be the final event of a week of events, taking place in venues at Plymouth University and across the city. The 2015 Plymouth International Book Festival starts today (Thursday 15 October) and runs until Wednesday 21 October. Other headline acts include bestselling authors Simon Scarrow and Matt Haig, writer and musician John Hegley, Thurston Moore, co-founder of experimental rock band Sonic Youth, actress and comedienne Helen Lederer, asylum broadcaster and campaigner Bidisha, and whisky connoisseur Ian Buxton. 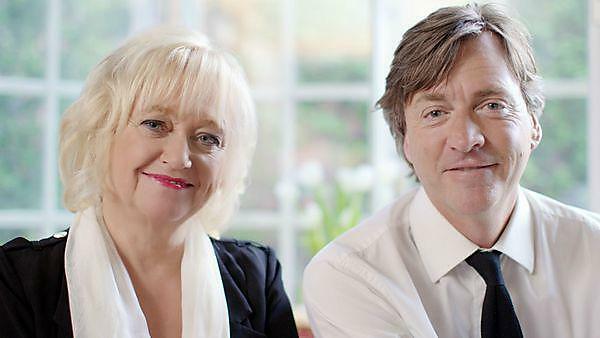 Richard and Judy are best known for presenting the daytime television show This Morning from 1988 to 2001, and then the daily chat show Richard & Judy from 2001 to 2009. It was during the latter that they created the Richard and Judy Book Club in 2004, with it launched online in partnership with retailer WHSmith in 2010. Since then, it has helped to promote the careers of now bestselling authors including Audrey Niffenegger, Jodi Picoult, Khaled Hosseini, Kate Mosse and Gavin Extence. Richard and Judy will be speaking in Lecture Theatre 1 of Plymouth University’s Roland Levinsky Building on Wednesday 21 October from 7pm, and tickets (priced £8, £6 concessions) are available from the box office on 01752 585050 or at https://www.plymouth.ac.uk/your-university/peninsula-arts/i-do-not-sleep. The Plymouth International Book Festival is back once again, bringing words and books to life across Plymouth. Organised through a partnership of Plymouth University, Peninsula Arts, Literature Works (the literature development agency for the South West) and Plymouth City Council, it will unite local and global authors in a celebration of writing and reading for everyone to enjoy. This 2015 programme includes exciting, new novels from bestselling authors Simon Scarrow and Judy Finnigan, stimulating non-fiction from Bidisha, spoken word from the always entertaining John Hegley, and a Writing For Radio workshop from the multi-talented Paul Dodgson and Edson Burton. Also this year, we not only have some of the greatest literary talents of our time, but an opportunity to meet before or after events and mull over your literary passions and experiences. You'll be able to relax in our 1950s-style café, Chez Paulette, and for the first time, we have events programmed in The House – Plymouth University’s performing arts building. While the majority of the festival events will take place at Plymouth University, a number of city organisations are also putting on related literary events. These include the Counter – Artists’ Book Fair at Karst, a book binding and illustration workshop at Plymouth College of Art, reading events for young people provided by Plymouth Library Services, the Flash Fiction Slam at The Athenaeum and other book events at PCQ Arts and Flameworks. We would like to thank Arts Council England for once again supporting the festival, The Duke of Cornwall Hotel for looking after our writers and Waterstones for providing the festival bookshop. Every year the festival attracts a wealth of talent from across the literary world. Find out who took part in the 2015 festival.